There has been a reluctance to recognise that the roots of the problem lie in a number of different areas and not just in the competence levels of the pilots who infringe. understanding the causes of each infringement. Finally, there has been too much emphasis on coercion though the threat of enforcement, and insufficient attention paid to bringing the entire GA community into the fold so that everyone becomes part of the solution, rather than just being part of the problem. It is therefore time to consider a new approach. 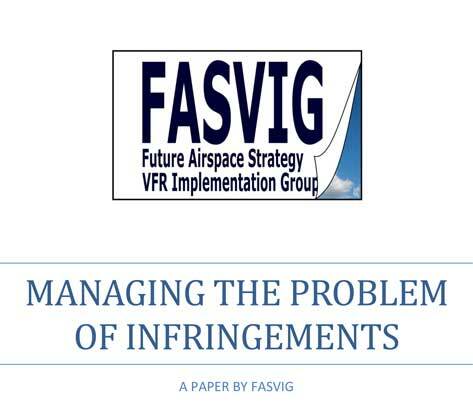 Acting in support of the CAA and in accordance with its mandate, FASVIG has commissioned this paper to propose a Counter- Infringement Strategy for consideration by the CAA.